I proudly own a flip phone. I cherish the quirks and hassles it brings. Strangely, it’s part of my identity. For those of you like me, you understand. You laugh at all insults and advice people give you to upgrade into the 21st century. You look to people like Andrew Luck and Jerry Jones for motivation to stay true to the simple pleasures of flipping your phone open to answer and using “T9 method” to text. To the other 99% of the population, you appreciate an upgrade and that’s ok too. My wife Alli is a part of the 99% that doesn’t mind moving up in the tech world. Over the past several weeks we had been looking together at some options to buy a new or used phone. During our search we came across Glyde, a company that provides a marketplace for buying and selling used phones and electronics. I’d like to briefly explain what Glyde is, how it helped us, and how it may help you. Glyde exists to provide an easy-to-use marketplace to buy and sell used phones, iPods, video games, tablets, and e-readers. The easy-to-use part is definitely true of Glyde.com. There are only two tabs on the website – buy and sell. Buyers need only type in the name of the device and select the appropriate network, color, capacity, etc. Sellers have it easy too. All that is needed is 8 simple questions answered about the device and its condition. Glyde takes the guesswork out of setting a price by encouraging sellers to list at a set market price. The site is upfront about how much money you will receive when the sale is made. Typically the transaction fee is 10% to 12% and the mailing cost is $3.00. This is not a marketplace for flip-phone clingers, but rather people looking to buy and sell electronic devices that are still popular. There are a limited number of devices that are listed, so you won’t be able to find everything or sell every kind of phone, but the selection is pretty strong. You can see if your device is on the Glyde marketplace by typing it in here. As Alli and I searched other places to possibly buy and sell a phone, the prices were very comparable to Glyde’s marketplace. Some online options like eBay and Amazon Marketplace had slightly less expensive avenues, but there also was an increased risk, workload (listing item, uploading pictures, buying shipping materials), and complexity that we didn’t want to deal with. The Glyde Gurantee ensures that Glyde will “make it right” if anything doesn’t go as planned. The Glyde Gurantee and easy-to-navigate website were two of many things I appreciated about Glyde. The shipping materials were mailed directly to my house with a shipping label and simple directions on how to clear out and send my sold phone. All I needed to do was set it in my mailbox to send out (this earned Glyde some bonus points in my book because standing in line to send packages at the Post Office isn’t currently on my bucket list). Money transfer was a no-hassle deal too. Glyde posted money into my Glyde.com account, and I transferred it directly to my bank account with no fees. Refer-a-friend programs exist too if you want to get other people involved. Glyde could be a great place for you to check out if you’re looking to upgrade to another phone but don’t want to spend the big bucks on a brand new smart phone. If you have an old smart phone sitting around, you might as well check out what it’s market price value is on Glyde.com! Because of the simplicity, I would highly recommend Glyde as a means to buy and sell used technology especially if you are new to this process. Alli and I started out hesitant in buying and selling used phones, but now we are sure ‘glyde’ we tried and experienced it for ourselves! The folks at Glyde have generously offered to give TTG readers a $15 credit to try out their site if you have an iPhone or iPad to sell. It’s good for a bonus of $15 on top of the usual proceeds for any iPhone or iPad sale on Glyde. 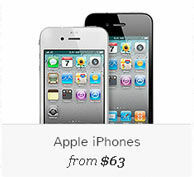 Just click on the link to activate it and then list an iPhone or iPad for sale during your visit. Once the sale is complete, you’ll have your usual proceeds plus $15. The bonus is good for any listing made through that link up to March 1st, 2014. The sale of your listed item does not have to occur or be completed before March, you only have to list the item for sale before March 1st. The bonus is limited to one use per person. How Much Money Are You Sitting On? I just want to share my expensive experience. I bought a note 3 from.glyde and it will not charge properly and has a destroyed nano-sim slot that is the only sim slot. I was happy the screeb is new but the entire frame is eaten away like it was replaced without the proper tools. So far first charge lasted about 2 hours aftet 8 hours on the charger but now the charger keeps not at all charging. Thanks for letting us know about your experience with Glyde, Bill. 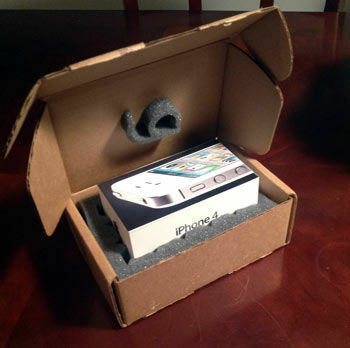 Excellent phone and the post also. I love to read article related to sell phone and i got this post. You doing great and will come again to read more new. Thank you! I can’t begin to understand why people would feel they have the right to comment on what kind of phone (or anything else) that I or Jerry Jones or anyone else has. Perhaps Jerry Jones’ decision not to spend $3-4 hundred dollars every time Apple comes out with a new G phone is why he can afford his stake in the Cowboys. And maybe it’s why I was able to retire at age 53. Why on earth do they care?